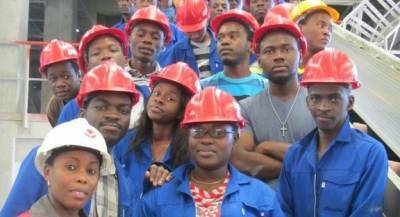 UNAM 2nd year Engineering students visited the Ohorongo Cement plant. 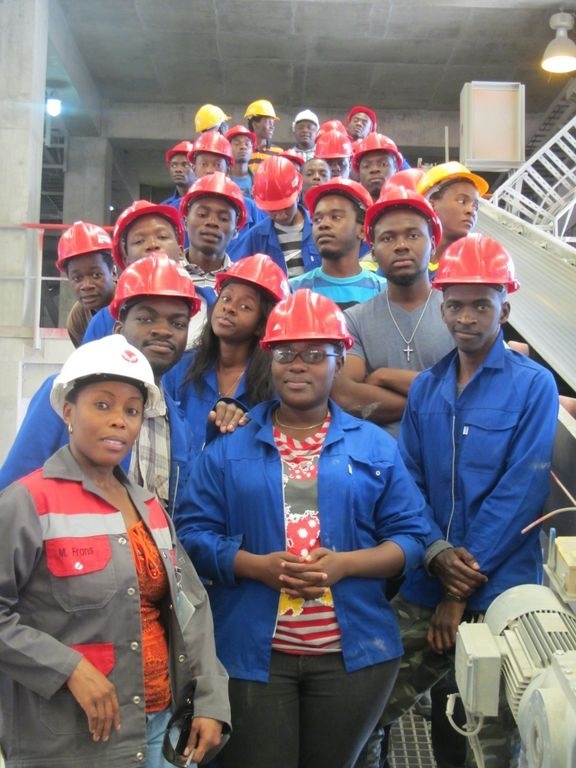 Students from UNAM paid an industrial visit to Ohorongo Cement with the aim to familiarize themselves with various activities, of interest to Engineering students, taking place at the cement plant. The 2nd year students from UNAM, Department of Civil and Environmental Engineering from the Faculty of Engineering & IT in Ongwediva visited the plant on 2 October. According to the Engineering lecturer, Mr J. Mashuna, who accompanied the students, the industrial visit is one of the most tactical methods of teaching. “It provides students with an opportunity to learn practically through interaction, working methods and employment practices. Visiting Ohorongo Cement gives students a practical perspective in the working world, it gives them exposure to current work practices as opposed to only theoretical knowledge being taught in the lecture-room,” said Mashuna. The group was accompanied by another 3 lecturers: Mr.D. Karegeya, Mr.S. Shaanika and Mr.T. Alweendo. Additionally, Ohorongo Cement then points out the various job and career building opportunities available within the company. This motivates the students to give their studies the attention it deserves, as they then have a better understanding of how they could add value within a company, but also to Namibian economy. Plant visits to Ohorongo Cement can be arranged, however, it is limited to smaller groups due to safety requirements. Health and Safety is very high on the company’s agenda and remains a continued focus. All the above is in line with the vision of the Namibian Government, executed into practice to ensure value addition to take place within Namibia.